From Bordeaux to Christie's: an Interview with Wine Industry Pro Robin Kelley O'Connor - Part 3! What attracted you to the Auction World and the position at Christie’s? When I went back to London in January of the following year, I stayed for two years and I was at Christie’s every single week for wine tastings and of course saw Michael all the time. 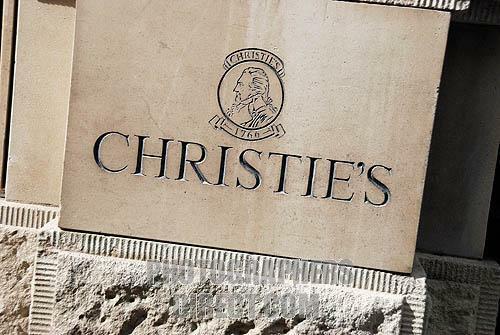 So I fast forward to 2011 and I was offered the job at Christie’s…to take over as Head of Wine of the Americas and of course the first person to call me was Michael Broadbent and he was like “Good job, Lad! It’s about time you joined Christie’s!” How great was that? What was a typical day at Christie’s like? It’s easier if I do it by calendar year. Christie’s America holds eight sales a year in New York. Generally…March, April, May, June, September, October, November and December. The process of putting a sale together takes months and months of preparation…the process includes getting the consignments, inspecting the wines manuscripting the wines and developing the catalogue. All the wine is appraised, inspected and picked up by the specialists and sent to Christie’s temperature controlled New York warehouse. Every bottle accepted for sale, once inspected receives a Christie’s seal that is placed on the back of the bottle, even if the wine is in wood case that’s never been opened. The wood case is carefully opened and all bottles are inspected, no matter the wine or the rarity. Everything is noted about the condition of the wine: if there is a nick on the capsule, a tear or stain on the label, the level of the fill, will be written down in the manuscripting process and thus go into the catalogue. There is a lot of work involved. There’s this amazing laborious process that goes into every single sale. You’ve accomplished so much during your career, is there anything else that you would like to do? That’s a great question, I’m always toying with the fact that I was in the Master Sommelier program and…I think I very much would still like to do that. I don’t know if it’s in the realm of possibility because I’m so incredibly busy and it takes just a tremendous amount of study. I have to say that it has just been so great, it’s been so rewarding, so gratifying that probably the answer is, I just want to continue doing more of what I’ve been doing, I think I’ve been lucky enough. I’d like to write more and there’s certainly a book in the making or two that I’ve written outlines [for]. I’ve gotten some fundamentally good ideas particularly I think first I’d tackle Bordeaux but in a totally different light then other books that have been written on the subject. But you know my passion continues always to teach and lecture. I love getting up in front of students and interested consumers and people who share the same passion. What is your favorite food and wine pairing? 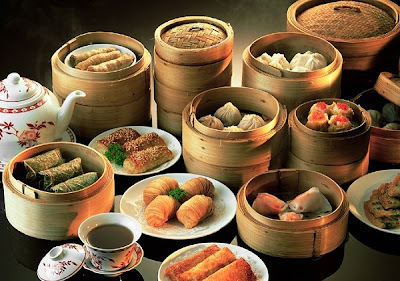 I love Asian food, I’m an Asian food fanatic, and I really am! I love Japanese, love Chinese so I personally I think we’re so lucky here in New York…for this plethora of great Chinese restaurants particularly down in Chinatown, that’s where I go. I always take wine every restaurant I go to, and of course Japanese as well, I think Japanese cuisine is so exquisite. Where do you begin? I love red, I love white but I am certainly a Riesling fanatic so I drink a lot of Riesling from Germany, Alsace, and Austria. To be fair we’re making very good Rieslings in Washington State and certainly the Rieslings in Clare Valley [Australia] are well undiscovered. 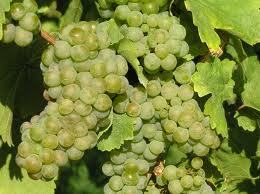 I drink a lot of Riesling at a lot of different sweetness levels and age categories. I think with Asian food Pinot Noir is a natural, I think it just goes so well; however, I never stop there because I was in the Bordeaux business so what do you think I own a lot of? I own a lot of Bordeaux! So I’m constantly bringing Bordeaux to prove that there is no such thing as red wine with meat, and white wine with fish. Interestingly enough Bordeaux sells very little white wine in Japan…the majority of everything the Japanese import from Bordeaux is red and of course I’ve been to Japan a lot and what do you think the Japanese do? They drink a lot of red wine with fish, which just proves that there are no rules. What’s your favorite everyday wine? This is going to sound redundant but I always have Riesling in the refrigerator! I do like easy, unoaked white wines from Alsace, Loire Valley Northeast Italy, Campania in Southern Italy, Gruner Veltliner of Austria, then I’ll progress on and drink white Burgundy or occasionally a California Chardonnay or … when I'm home I want light, I want low in alcohol or at the very least something medium-/moderate-alcohol in nature. I want to sit back, feel that acidity brace my inner soul, brace my mouth, feel the tingle and the tangle and get my day unraveled and help me to relax – it’s really important! If it’s red I immediately want the red equivalents of the whites a tingle and a tangle I want Dolcetto or Barbera I don’t want anything over oaked. I want something really simple and you know even a lighter style Pinot Noir that has a kiss of oak but not too much. Tell me about your wine collection. I’m not a collector, I’m a gatherer. I guess it comes from my Irish Scots heritage that I can’t throw anything out. I’ve gathered a lot of wine and I truly need to get drinking or I’ll just have to share a lot of wine with friends and family. Right now I probably have somewhere between five and six thousand bottles somewhere in the universe. Most of it is here in New York City. I’ve got a little farm house in upstate New York’s Hudson Valley where I keep a thousand bottles or so. In my humble little piso in the West Village in NYC I normally keep about two or three hundred bottles of ready to drink wines. In France I still have two or three hundred bottles mostly in Bordeaux that I bought and never moved. As well I have a caché of wines in a storage facility in the Presidio in San Francisco. Well, my favorite beer growing up was a local beer called National Bohemian which is beer from Baltimore. I love National Bohemian for the nostalgia point, brewed on the shores of the Chesapeake Bay. I can’t get National Bohemian in New York so I’m partial to Sierra Nevada. It’s a beer that is friendly and most delicious. I try other beers of course. I’ve been a partner in several pubs in New York City that are all strongly micro brewery oriented. The only pub I’m still involved in we have twenty beers on tap and one beer is more exciting than the next but Sierra Nevada always hits that sweet spot. A big thank you to Robin Kelley O'Connor for sharing his fascinating story and helpful advice for those pursuing a career in the wine industry. To read the previous installments, please check out Part 1 and Part 2 here on The Glamorous Gourmet. From Bordeaux to Christie's: an Interview with Wine Industry Pro Robin Kelley O'Connor - Part 2! What accomplishments are you most proud of at this point in your career? When I took over this job at the Bordeaux Wine Bureau for the Americas, I needed to establish an education program [so] I went to the number one wine educator, in my humble opinion, in North America, Kevin Zraly who was [the founder of] Windows on the World Wine School and the Wine Director. In the year that I started in 1989, I went to see Kevin and said, “I’ve got a budget and I need to take a program and put it together and we need…to go around North America to educate the trade.” We started with the Wholesale-Distributor-Import network…all these major players…and within 4 years we went to about 80 cities a year doing these distributor seminars and Kevin became my tutor, my mentor, my inspirational guru. Kevin really taught me the art of presentation, the art of communicating because that was another skill set that was completely different than learning to prune vines in the vineyard and making Pétrus in the cave. What Kevin taught me was how to synthesize, fuse, and bring together all that I had learned and deliver the message to the trade, to the public, to the consumer, to the press. I so credit those first four or five years as laying the foundation for future accomplishments when I was with the Bordeaux Wine Bureau. Having the chance to travel with Kevin and witness him bring his magic to every single seminar that we ever did, whether it was for 25 people or 1,500 people was a great, great opportunity, but then…he started having children…and he just wasn’t really able to travel. 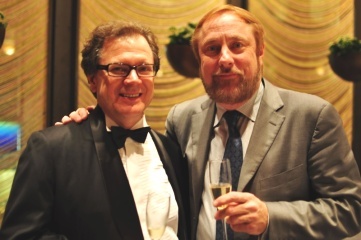 I [also] had the occasion to have the great British wine authority, Clive Coates MW, whose seminal books on Bordeaux and Burgundy, travel with me around the United States when Kevin was unable, to deliver Bordeaux seminars over a couple of years period. Clive was a great mentor; however with budget constraints and geographic barriers, I had to take over that speaking role. I kind of looked at myself the first five years as the producer and the director and Kevin the actor, artist and performer. However I had to become the producer, the actor and director. So from that point on, I did all the seminars around the country and I did that for the next 15 years. What are some of your most gratifying experiences? There’s so many but I would certainly say, Kevin and I probably would agree, that as much as we love the trade and the SWE, there’s nothing like getting in front of a group of young people like at the CIA or Cornell where both Kevin and I had these lasting relationships. Now those same people we taught who were in their early 20’s are now running restaurants, own their own restaurants maybe [they’re] Chefs maybe now they’re Masters of Wine or Master Sommeliers, that’s what I call gratifying. When they come up to you and say, “it’s because of you, it’s because of what you taught me in that course, I was so inspired,” it gives you goose bumps. It is a wonderful feeling every time someone comes up to me and says, "thank you very much, you don’t remember me but you gave me a path, you gave me inspiration." 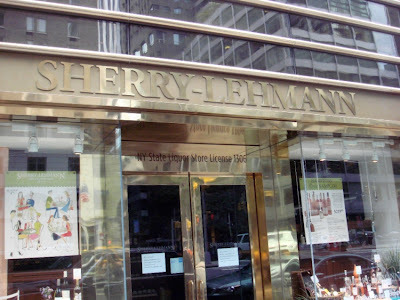 In 2003 Kevin began collaboration with the great New York based retail wine merchant Sherry-Lehmann creating The Sherry-Lehmann/Kevin Zraly Master Wine Class which features the best wines in the world tasted with the winemakers and owners with vertical tasting of at least 10 different vintages. I had the great fortune to be invited by Kevin to decant the wines (Ch. Haut-Brion) at the very first Master Class. Since inception in the fall of 2003 I’ve been part of the nearly 50 master class seminars with the top wines of France, Italy, Spain, Portugal, California etc. Also, in 2008 and part of 2009 I went around the world with Kevin to assist him in the 25th anniversary edition of his “Windows on the World Complete Wine Course." We visited over 15 countries, 80 wine regions, 500 appellations and tasted more than 7,000 wines. With a stroke of luck when we returned from the world wine trip, I was invited by the Sherry-Lehmann partnership to join them as Director of Sales and Education. I had over two wonderful years working with the oldest family owned retail wine business in the United States which dates back to its founding in early 1934 right after the repeal of prohibition. Sherry-Lehmann was honored in 2011 as the Wine Enthusiast Magazine Retailer of the Year. Sherry-Lehmann’s commitment to wine education is second to none. 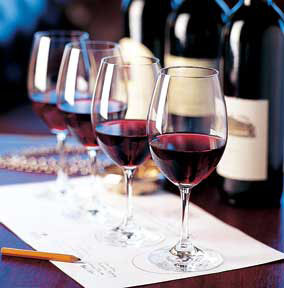 What advice would you give to an aspiring wine educator? It’s a very simple formula, you must get out there and expend as much energy as you possibly can attending wine tasting, lectures, visiting vineyards, wineries, and winemakers. Take advantage of every opportunity no matter where you are in this great earth of ours. Find out if winemakers are coming to town and be a sponge, absorb everything you possibly, possibly can. You can’t be sedentary, advance yourself with determination and it's important to read everything that’s out there and take advantage of all that’s on the web. Find the pace that works for you; however you have to really take a huge initiative. I became an obsessive wine book collector, I must have 5,000 wine books…I have wine books going back literally to 1800. Ok, I got a little over-obsessed but I read French and most of the older books I have are in French, it’s unbelievable and I just became a sponge. The other thing to do is to try to teach, even if you start out with three people, your family, your six best friends, try to give them a lecture! Start with 15 minutes, start with half-an-hour, build up to 45 minutes or an hour. Get yourself in front of a small group or larger group whatever you can do, but you can’t be a Wine Educator without presenting yourself. I always laugh, they say the greatest fear in the world is public speaking and the second greatest fear is dying. Kevin did all the speaking for me in the early years so I was experiencing stage fright [in the beginning] when it came to my turn and I had to get over it, because I [eventually] had to become that person. Please stay tuned for the third and final installment of my interview with Robin Kelley O'Connor wherein he discusses his experience at Christie's Auction House, his favorite food and wine pairings and plans for the future! 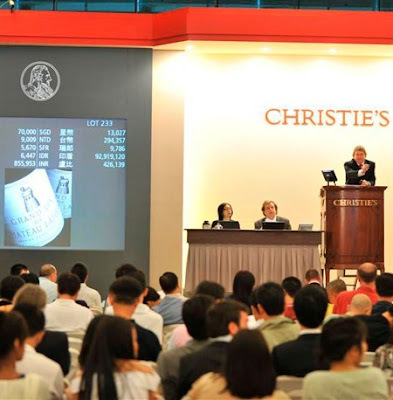 From Bordeaux to Christie's: an Interview with Wine Industry Pro Robin Kelley O'Connor - Part 1! Many people including myself have asked this question at some point and I think it's fair to say, there's definitely more than one way to skin a cat. During a recent trip to New York City, I reached out to some noteworthy individuals in the wine industry who agreed to share their experiences and shed some light on the subject. At the top of my list was Robin Kelley O’Connor, a man who has left few facets of the wine world unexplored. Not many individuals have gotten their start in the wine industry working for Steven Spurrier at Caves de la Madeleine in Paris, learning winemaking under the tutelage of Christian Moueix in Bordeaux, and collaborating on wine education programs around the globe with Kevin Zraly - and that’s just scratching the surface! With professional incarnations including twenty years with the Bordeaux Wine Bureau, two years at Sherry-Lehmann, and a recent appointment as Head of Wine, Americas at Christie’s Auction House, I thought O’Connor would definitely be able to provide some insight into the fascinating world of wine. How did you first become interested in wine? I didn’t come from a wine family but when I was at University [of Maryland] I took a wine appreciation course and, at that time, we were drinking Grand Cru Burgundy, First, Second, Third Growth Bordeaux de rigueur, that was just normal, what that professor would serve. He grew up partially in France and his family brought back hordes of wine and he shared it with us in this wine class. This is when these wines were all affordable and I was nineteen years old and I thought ‘Oh my God, this is an elixir! I have no idea what I’m drinking, but I love it,’ and a light bulb went off. What was your first job in the wine industry and how did that come about? I was studying Political Science and History and when I left University I went to Europe on a two-month Eurail pass with a two-month [plane ticket]. Well, my Eurail pass terminated, I ran out of money and my flight expired…and I was stuck in Paris and ended up working at Caves de la Madeleine for one of the great wine writers in the world named Steven Spurrier. He gave me a stockist job at Caves de la Madeleine…and he had a wine school, I didn’t get paid but I took wine courses at night. I eventually ended up in London taking classes at the Wine & Spirit Education Trust (WSET) and I happened to work for John Armit, the managing director of Corney & Barrow, one of London’s oldest wine merchants. I told John I’d love to work a harvest and he sent me to Bordeaux to work for the Moueix family. I ended up spending two years at [Chateau] Pétrus. After the first year at Pétrus I went to Champagne and spent a year at the House of Krug working and studying the art of Champagne making with the brothers Henri and Rémi Krug. The following year I returned to Bordeaux at Pétrus for another harvest. Following the Bordeaux/Champagne winemaking experience, I spent a year in Navarra in Northern Spain and Roussillon area in Southern France and I actually did a harvest in Switzerland in Vevey on Lake Geneva. How did you find your way back to the States? I came back here because I got involved in a crazy sport called ‘Running of the Bulls’ in Spain. I got badly gored and almost lost my life and spent two months in the hospital in Pamplona in Northern Spain. At the same time my father was very sick, he was diagnosed with terminal cancer which I didn’t know and I came back to the States because I got word that my father was literally on his death bed. I was recovering from a life-threatening injury so I went back to Baltimore, where I grew up, and got medical attention. When I came back I decided I’d go to New York and find my way into the import/export business but I decided not to be a winemaker. I knew after five years of studying winemaking I didn’t want to be a winemaker; I wanted to deal with the finished product. How did you make the transition to becoming a wine educator? It came very naturally I think, I was very lucky. I believe I was the second American to pass the Diploma course at the WSET and I did that in London….after that there was this long spell before the diploma and all the ancillary WSET classes came to the US so when I got into New York and involved in the wine business, I joined the Society of Wine Educators (SWE). Simultaneously, that year I’d started working for Bordeaux [Bordeaux Wine Bureau] and I was the trade liaison/spokesperson for the Bordeaux region in the Americas for twenty years. My very first year a gentleman named Peter Sichel who owned Château Fourcas-Hosten in Bordeaux that’s now owned by the family that owns Hermès, said, “you must come to Portland, Oregon and do a Bordeaux seminar with me,” so I did! That was in 1990 so I’ve been a member ever since and I was on the board for many, many years and President of the SWE for four years. How important are credentials in the wine industry? Is it more important now than in the past? Credentialing I think is exceedingly important. Curiously enough I had the diploma from the Wine & Spirit Education Trust (WSET) for at least 10-12 years and it meant nothing in the US at all and now it’s very prestigious. I think it all gives validity; I think it’s very, very important. There really aren’t that many of us in this business so I really believe in credentials, I think it’s important. If someone’s serious they should have some sort of credential, I’m not one to say what they should have because there are many different opportunities but it really is important for an individual to grow professionally in the wine world, so to speak. Who would you say had the biggest influence on your career as a mentor and how did they help you develop in your career? There’s no question that Christian Moueix from Bordeaux has had the greatest single influence on preparing my life in the world of wine. 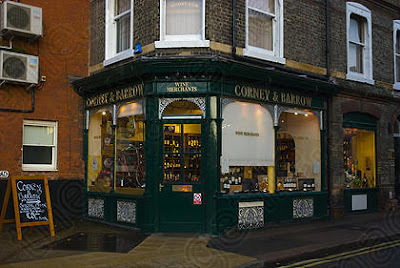 I certainly would like to start with John Armit of Corney & Barrow because he gave me the opportunity and arranged for me to work for Christian Moueix. I would certainly like to thank Steven Spurrier for that wonderful August in Paris when my finances on a student budget wouldn’t allow me to purchase a new plane ticket and fly back home to the United States. But guess what, it was the best summer of my life! 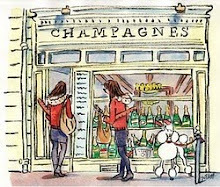 If you’re going to be stuck somewhere, Paris is not a bad place to be stuck at twenty-three or twenty-four years old. Another mentor was the gentleman who was Christian Moueix’ winemaker at Pétrus and all his ancillary properties including Dominus in Napa Valley, his name is Jean-Claude Berrouet. 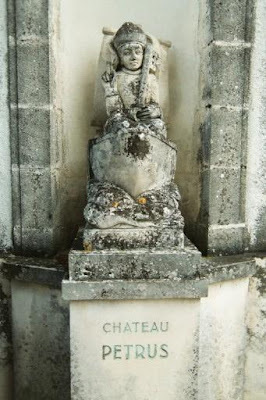 He was the head enologist for the Moueix family and at the time I was there, they either owned outright or had the winemaking rights for fifteen Chateaux in Pomerol, St. Emilion, and Fronsac. Jean-Claude was the one I worked with every single day – he’s my hero as Christian Moueix is my hero. What did Christian Moueix’s influence mean to you? Christian took me under his wing, I am so indebted to the man as a mentor and in numerical terms I can never repay him but what I think I’ve been able to do in a way of a gesture is to pass it on and pass on the knowledge. This is why I’m so happily involved in volunteering my time for mentorship and endlessly giving time in lecturing around the world…and in organizations like the Society of Wine Educators and Sommelier groups. I also have had the privilege to teach at Cornell University School of Hospitality Management. I’ve been a guest lecturer at Cornell for 20-some years and the Culinary Institute of America, lovingly known in the world of food and wine as the real CIA in Hyde Park, NY and Cal Poly Pomona’s College of Hospitality Management…so every time I do something like that I think, Christian, this is for you, because how can I ever repay you but this is my way of giving back and he knows that. He’s delighted that he knows that his mentorship means something because again, the way I’ve been able to live my adult life to this point is to pass on that knowledge and do it happily…it’s been very, very gratifying. What types of people have you mentored? I’ve mentored a lot of different people, those students right out of college and culinary schools. I’ve mentored those that have literally given up Law, Wall Street and other professions to get them involved in their passion, so whenever I can do that it’s certainly a great, great pleasure. Stay tuned for 'Part 2' of my three-part interview with Robin Kelley O'Connor wherein he discusses his most meaningful career accomplishments; his collaborations with Kevin Zraly and Clive Coates, MW; and gives valuable advice to aspiring wine educators. Vinous Valentine's Day Selections to Pair with your Favorite Desserts! Surprising your Sweetheart with something deliciously decadent this Valentine's Day? Take it to the next level and pair your sweet treat with one of these Vinous Valentines that are 100% Cupid-approved! I hope you enjoy these Vinous Valentine's Day pairings with someone you love. 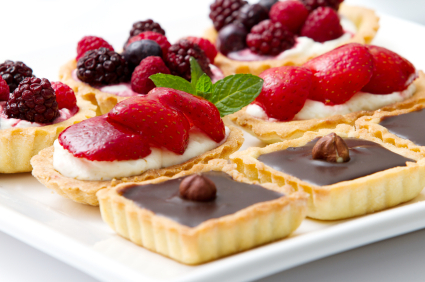 For even more dessert and wine pairings, please click here. Happy Valentine's Day, Everyone! Super Bowl Sunday Deliciousness: Savor the Moment's White Chicken Chili! I know I promised you two fabulous interviews but before I post them, I would be remiss if I did not share this delicious recipe with you in time for Super Bowl Sunday! 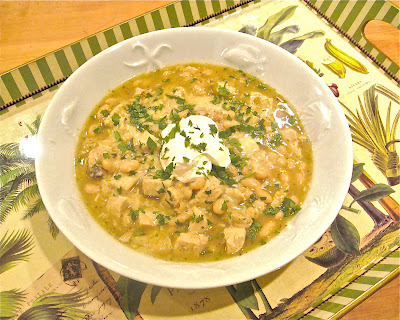 I initially wrote about this recipe for White Chicken Chili in 2009 as I was cooking my way through the Junior League of Boca Raton's James Beard Award-winning cookbook, Savor the Moment. It is a delicious "go to" one pot meal perfect for satisfying a hungry mob of football fans. In my initial post, I wrote about the preparation of this dish, but I recently realized I did not actually post the recipe. So here it is, my Super Bowl gift to you, the recipe in its entirety! For ease of preparation, you might want to go ahead and substitute the 2 cans of rinsed white beans for the dried ones (I used Bush's Great Northern beans), this saves you from having to soak the dried beans overnight which I have not had much luck with for this recipe. Also, this recipe is easily adaptable so feel free to "make it your own" adding more or less of the ingredient(s) you desire - we like it spicy so I usually add more green chiles. For the beer, a light beer like Corona gives nice flavor without being too heavy but use whichever you like best. Because the recipe contains a beer, it is usually best served with one, how's that for an easy pairing? I hope you enjoy this recipe as much as we did and have a fabulous Super Bowl Sunday! For more Savor the Moment Super Bowl recipe suggestions please click here. So, Football Fans, will the Patriots or the Giants reign supreme this year? I'd love to hear what you think! Rinse and pick the beans and combine with water to cover in a large bowl. Let stand for 8 hours or longer. Combine the chicken with cold water to cover in a large saucepan. Simmer for 15 minutes or until tender. Drain, cool and chop the chicken. Saute the onions in the olive oil in a saucepan until transparent. Stir in the garlic, green chiles, cumin, oregano, cloves and cayenne. Saute for 2 minutes. Drain the beans and add to the saucepan. Add the chicken broth, beer, lemon pepper, white pepper and black pepper. Bring to a boil and reduce the heat. Simmer for 2 hours or until the beans are tender, stirring occasionally. Add the chicken and cook until the chicken is heated through. Stir in 1 cup of the cheese. Season with salt. Ladle into serving bowls, Sprinkle with the remaining cheese. Garnish with salsa and sour cream. Note: As a time-saver, substitute 2 cans of rinsed white beans for the dried beans. 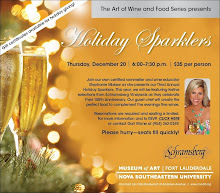 Please join us for our Third Annual "Holiday Sparklers" Wine & Food Tasting! The Glamorous Gourmet featured in Boca Magazine! Stephanie Miskew is a Certified Sommelier with the Court of Master Sommeliers, Certified Specialist of Wine (CSW) with the Society of Wine Educators, Wine Location Specialist for CIVC (Champagne) & IVDP (Port) Wine Educator, Writer & Judge. The Fabulous Artwork of Carol Gillott! Subscribe to The Glamorous Gourmet! 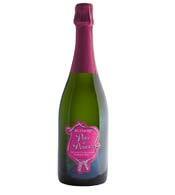 The Palm Beach Post "Sweet Sip"
Chateau D'Esclans "Whispering Angel" Rose! "Boca Bacchanal Announces Featured Chefs & Vintners"
Miami Herald "Wine Lovers Cultivating a Taste for Museum Event"
"Wine Series Debuts at Ft. Lauderdale Art Museum"
Mayor Susan Whelchel's Blog featuring recipes from "Savor the Moment"